Auction house Sotheby’s is to offer what it estimates is the most valuable single owner collection it has ever handled in Asia at the end of next month – with all proceeds going to charity. Counting 800 lots, the collection has a pre-sale estimate of HK$60 million (US$7.7m) and all of it will go to support various charitable causes with the main beneficiary being Stanford University’s ‘Rural Education Action Program’, which helps underprivileged children in rural China. Dubbed ‘The Philanthropist’s Cellar’, the collection will go on sale in Hong Kong on 31 March. The collection took Sotheby’s team about four weeks to inspect, and “for a wine nerd, this was the holy grail”, Adam Bilbey, head of wine for Sotheby’s Asia, told dbHK when recalling the inspecting experience, noting that many of the wines are in pristine condition with tissue wraps, original receipts and invoices. “One of the highlights was inspecting 1959 Haut-Brion that’s still tissue wrapped, that has never been opened before,” Bilbey said giving one example. Other highlights include “better value” 1961 Lynch Badges in their original wooden case (OWC) as well as three cases of Domaine de Romanée-Conti Montrachet in OWC. Composed over many decades but most especially the 1980s and 1990s, the collection is dominated by classic Bordeaux and Burgundy and has been stored in the UK, first at Trapp’s and then at Octavian. 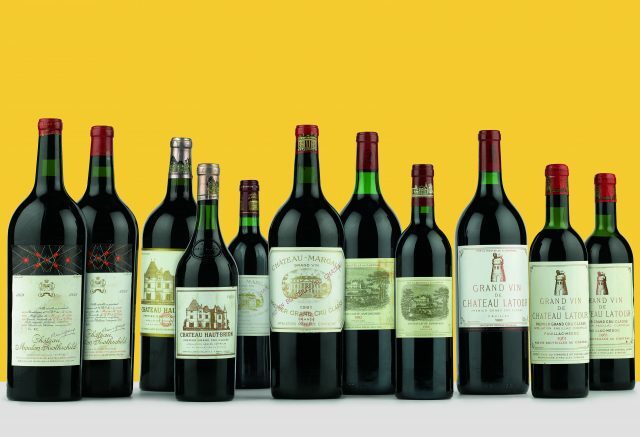 Highlights include cases of: 1986 and 1961 Lafite; 1959 and 1982 Mouton Rothschild; 1961 and 1982 Margaux; 1959 and 1989 Haut-Brion; 1970 Petrus; 1990 Le Pin and 1982 Cheval Blanc and Latour as well as 1989 Montrachet and 1978 La Tâche from Domaine de la Romanée-Conti. The anonymous collector’s interest in China can reportedly be traced back to the 1990s when he was struck by the extreme poverty of many rural communities. 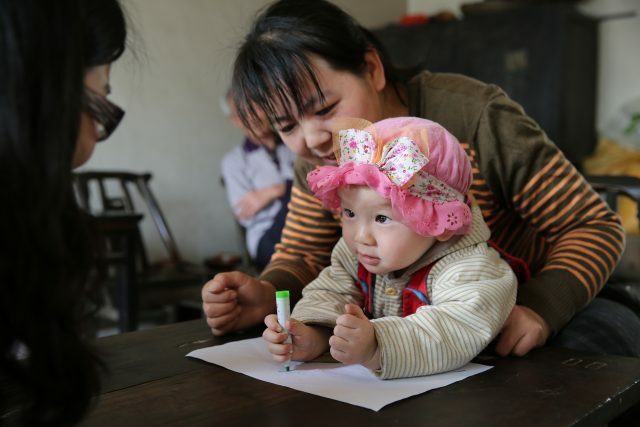 After a meeting with Dr Scott Rozelle of Stanford University and hearing of the programme he runs to improve education and sanitation for Chinese children as well as providing early learning centres and health and nutrition training for new mothers, he became a supporter of the initiative.